For the seventh consecutive year, Hublot joined Cheval Blanc and the renowned Courchevel 1850 ski school to organize a slalom race in the heart of the Trois Vallées ski area. This exciting event brings together two exceptional LVMH Houses. 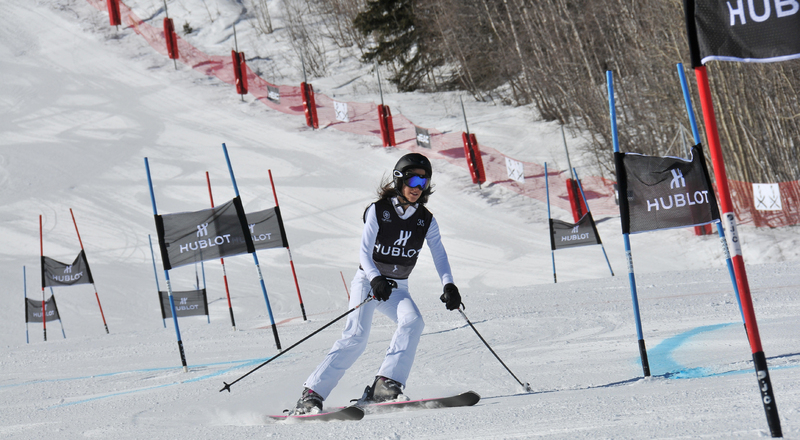 Nearly 70 skiers competed in the slalom race organized on February 18 by Hublot and Cheval Blanc Courchevel. Open to all contenders, the competition consists of two runs that skiers attempt to complete in precisely the same time, without any speed requirement. The winner receives a gift from the watchmaker at an outdoor ceremony against the stunning backdrop of the Trois Vallées resort, the world’s largest ski area. In conjunction with the race, participants were invited to the White Bar at the Cheval Blanc Courchevel, an exquisite setting where Hublot presented one of its most recent creations, the Classic Fusion ForbiddenX chronograph. The watch features a dial with real tobacco leaves, the same used to make the celebrated eponymous cigar. This tribute perfectly embodies the intimate and convivial atmosphere at what has become a must event on the Courchevel calendar.